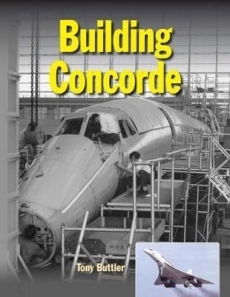 However, this book provides genuinely new perspectives on the Concorde programme as it explores how this great aeroplane came into being, concentrating both on the design and development aspects of the aircraft and on the political background to this exercise in Anglo-French collaboration. Early chapters look at the various supersonic transport proposals mooted both in Britain and France before Concorde. The following sections examine areas relating to the practical difficulties of supersonic flight such as supersonic booms. The narrative then moves on to how the British and French work was merged into a single programme. Later portions of the book describe the flight test programme leading up to service entry in 1976 and the text is complimented by an extensive range of photographs and drawings, a great many of which are previously unpublished. About the Author: Tony Buttler was born in England. He joined High Duty Alloys in 1974 as a metallurgist and for nearly 20 years was involved in the testing of aluminum and titanium airframe and engine components for all of the world's major aircraft. It was during this period that his great interest in aviation began to blossom. After leaving HDA, Buttler earned his Masters Degree in Archives and Library Studies at Loughborough University, and became a freelance aviation historian specializing in the design and development of military aircraft. Be one of the first to review the Building Concorde.